Ancona has always been a key naval hub of the Adriatic. Indeed, in 1944 it was considered such a strategic asset that it became the site of fierce battle as the Allies retook the city from German forces, shortening their lines of communication and reoccupying a key Adriatic port. 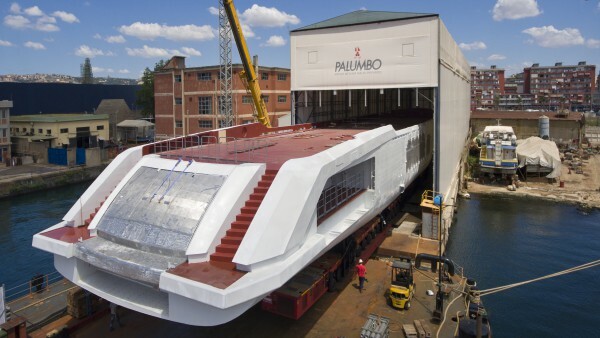 73 years on from the liberation of Ancona, the port, and in particular Palumbo shipyard, eagerly awaits the hull of the new Columbus 80m superyacht. Built in Naples, the steel hull of the full-displacement hexa-deck superyacht is to be united with its pre-fabricated aluminium superstructure in Ancona by the end of July 2017, (read the full story here). 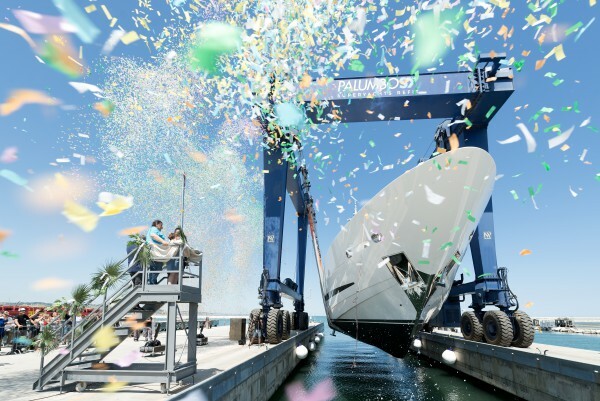 As the Columbus 80m hull heads towards the Palumbo yard in the Marche region, ISA Yachts (acquired by the Palumbo Group in August 2016) launches hull no.11 of its sport 120 model, 37m Clorinda. Even a glimpse of Clorinda is enough to tell you the 235gt superyacht will be quick on the water. The architectural framework cuts a dynamic silhouette and suitably encapsulates the ferocity of the stern power plant. A triumvirate of MTU M96 engines, coupled with a duo of KaMeWa waterjets and central transom KaMeWa booster, are enough to shift the superyacht to a 27 knot cruise speed and 33 knot top speed. Other than the sweeping spline of framework from aft to atop the superstructure (a prominent feature on the likes of 66m Okto or 47m Philmi), the 120 Sport is similar to a style we’ve seen many times before. Regardless, this 37m superyacht is practical as it is fast. The exterior terraces are well proportioned and connect the bow, aft and flybridge spaces seamlessly, particularly the double aft deck stairs bridging the swim platform to the sun deck. A sizeable and dynamic entertainment space, the sun deck is equipped with bar, dining facilities for 12 and starboard helm. 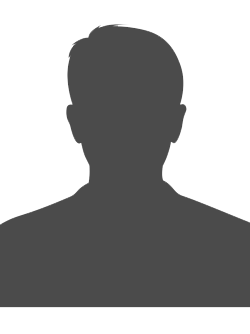 Accommodation for 10 is split across five cabins. The owner’s suite located forward of the main deck is across two levels, split only by his and hers sinks. Below deck, crew quarters for five mid-ship divides the twin VIP and guest cabins forward from the stern engine room. At anchor, ABT TRAC stabilisers ensure pitch and roll are significantly reduced allowing easy launch of tender or twin jet skis from the port or starboard garages. 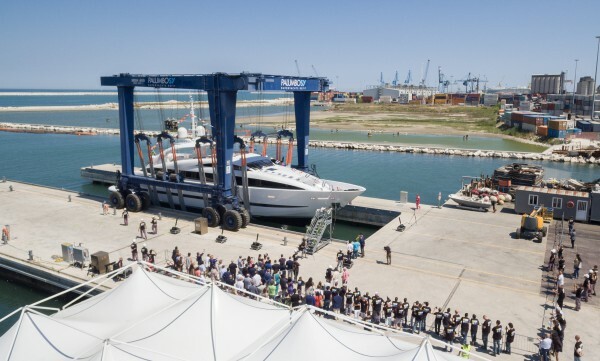 As the Columbus hull makes its way to the Ancona shed, and Clorinda prepares for its debut at the Cannes and Monaco yacht shows in September, the build progress of the new ISA Granturismo 67 continues. Aggressive styling, balance and strong lines, the GT 67 is the one to watch out for.